Directed by Harley Cokeliss, starring Jemma Redgrave, Kathleen Wilhoite. A young woman about to be married begins having terrifying dreams about demons. When she wakes, however, the demons are real and begin to commit gruesome murders. 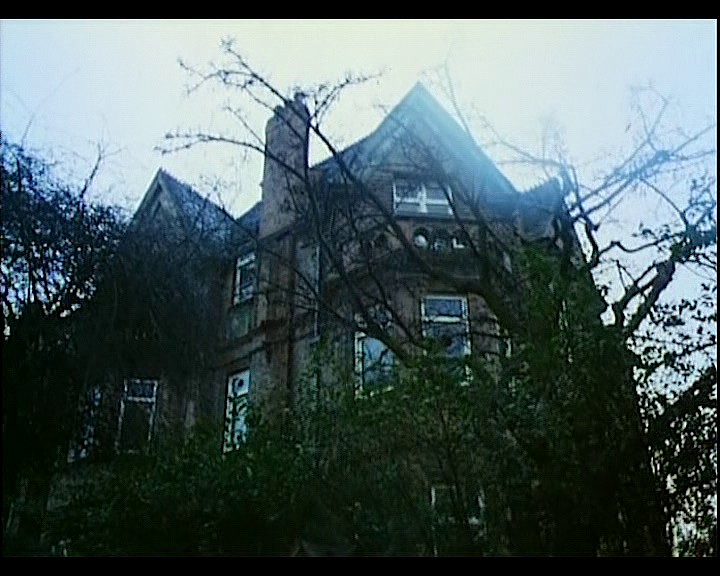 A re-creation of the original version of this great British 80's horror film, aka the "Cannes Cut", using exclusive original film elements, completed by a couple of quick shots only used for the international market, all remastered. 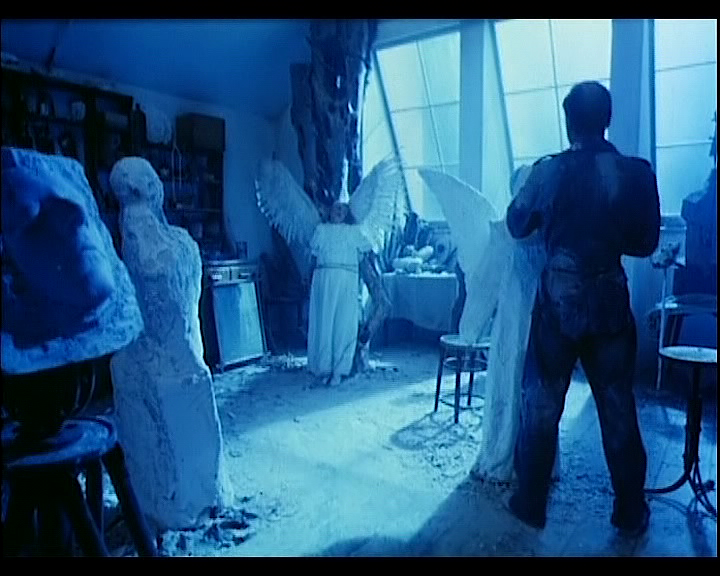 This fan-edit only differs for about 30 seconds with the released version(s), but it's mostly a good excuse to watch this rare British film in great quality, as it was never released on DVD, and the VHS has been long out of print. Sources used: a brand-new original transfer of a 16mm print of the "Cannes Cut" (original reels), and the Russian VHS of the film, only used for a couple of additional shots. * Promotional featurette about Dream Demon's production and censoring. 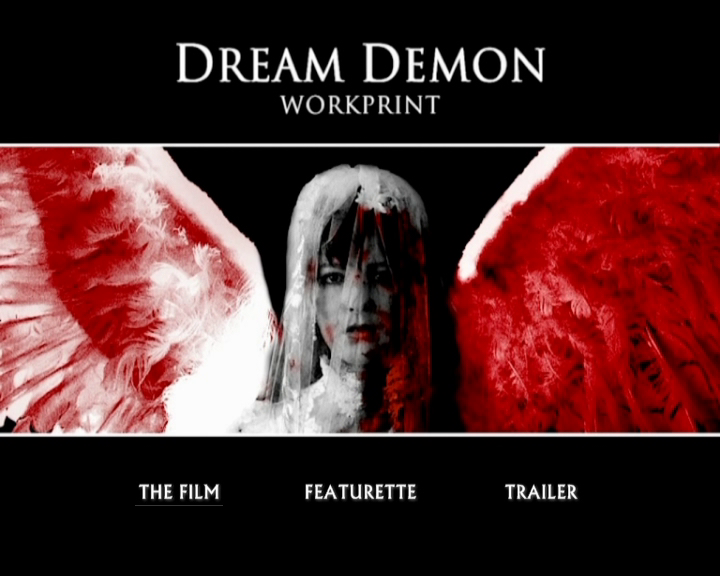 This DVD release of Dream Demon has been re-shared on various torrent sites in incomplete, re-encoded versions. This is the original, untouched release first shared here in 2011. This is an unofficial non-profit release, created for criticism and research. It falls under the copyright act of 1976, 17 U.S.C., section 107. It is not to be sold or manufactured. We do not have any financial interests. We do not support piracy. Please respect the rights of the copyright holders. To have this version, you must own an original, unaltered retail version. By downloading this, the downloader assumes all responsibilities thereof as well as all the consequences that may incur and are hereby warned that downloading such a release might be illegal in their country.